Allow the blood-dripping atmosphere of Resident Evil and Resident Evil 2 to sink in as a vinyl is coming in 2019. Helped done by Laced Records and remastered specifically for this release, this comes as a double-vinyl collection. There is the standard black but also a limited edition marble colourway packaged with gatefold sleeves. The first dual-vinyl release covers the first Resident Evil based on the 2002 Gamecube version, housing forty-four tracks in total. The second release covers the original Resident 2 of 1998, where it has 31 tracks in total. Both are shipped via Royal Mail 1st class tracking. For prices, both releases individually cost 35 dollars in the US and 33 euros for applicable countries in Europe. The vinyls are also audiophile heavyweights, 180g LPs. The shipping itself will come around in May 2019. In the meantime, pre-orders are up and running for those who want to guaranteed a chance to get at least one of these items. 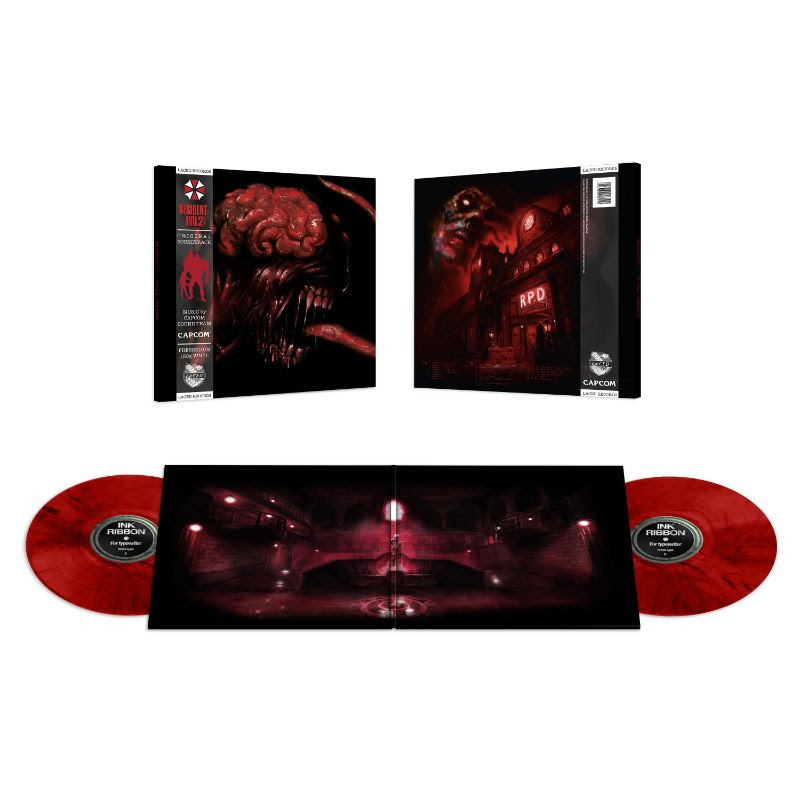 London, 19th February, 2019 – Laced Records, in partnership with Capcom, today announces that Resident Evil® (Original Soundtrack) and Resident Evil® 2 (Original Soundtrack) will make their spine-chilling debut as deluxe double-vinyl collections in 2019. In contrast, the Resident Evil 2 Original Soundtrack conveys fundamental themes of panic and desperation via varying musical styles. Featuring ambient horror, industrial pieces and rousing militaristic anthems you’ll experience classic orchestral compositions alongside ominous piano underscores, taking you back to Racoon City’s iconic Police Station, Sewer and Underground Laboratory. Each soundtrack has been remastered specifically for this release and will be pressed onto audiophile heavyweight, deluxe double-vinyl 180g LPs, in both standard black and special limited editions featuring unique marble colourways, and housed in striking gatefold sleeves. The Resident Evil (Original Soundtrack) and Resident Evil 2 (Original Soundtrack) vinyl infection is currently contained to North American and EMEA territories. Two of the most influential and critically acclaimed video games of all time, Resident Evil and Resident Evil 2 introduced some of the most memorable experiences and characters in the long-running Resident Evil franchise, which has sold over 83 million units worldwide.